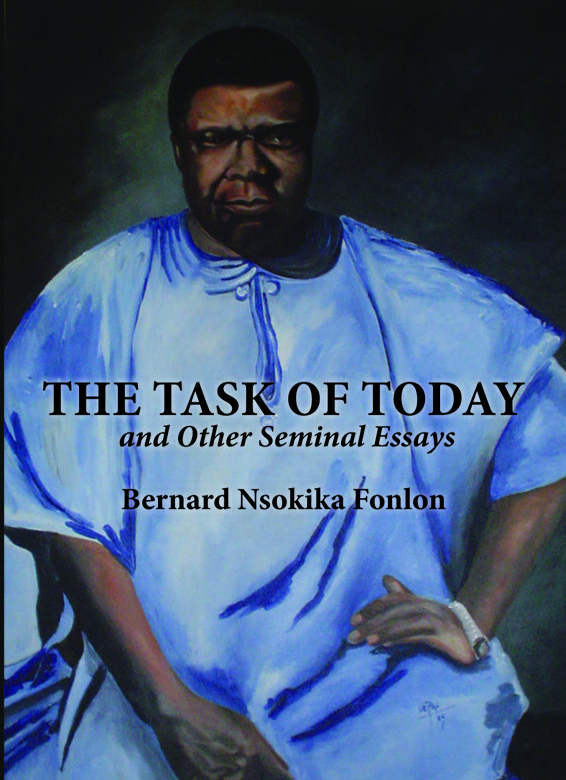 This book brings together six seminal essays by Professor Bernard Nsokika Fonlon, essays first published mostly in the 1960s in ABBIA (Cameroon Cultural Review) and in the pages of leading newspapers in Cameroon. Preoccupied with the cultural dignity, humanity and freedom of Africa and Africans, Fonlon never contented himself with stating the problem. In a very Socratic and scientifically systematic approach, he proposed solutions as well. Patiently pedagogical, philosophical and steeped in the classics he convinced his readers through the force of argument. In “The Task of Today;” Fonlon invites Cameroonians and Africans to face the challenge of nation-building and development in a world where imperialism is far from dead and buried. “Random Leaves from My Diary” shares his aspirations and challenging experiences as a young seminarian learning to be relevant to God and the Catholic Church. In “Will We Make or Mar” Fonlon is worried, and indeed frustrated, by the temptations of material pursuits and the love of money threatening to derail modern elites charged with the postcolonial destiny of African nations. As a member of the Cameroon National Union, in “Under the Sign of the Rising Sun,” Fonlon preaches patriotism and compromise. In “Idea of Literature,” Fonlon expresses his passion for art as the pursuit of beauty and the sublime, stressing, as he was wont to do, that no race or culture has a monopoly of this aspiration. “A Case for Early Bilingualism” invites Cameroonians to take advantage of their English and French linguistic colonial heritage, by embracing bilingualism in early childhood and playing a major role in an interconnected world where interpretation and translation is eternally needed. Professor Bernard Nsokika Fonlon, M.A., Ph.D., (Nui) Dip. Ed. (Oxon), born 19 November 1924 in Nso, North West Region of Cameroon, died 26 August 1986. He was a government minister and leading intellectual of Cameroon. A man of diverse abilities, Fonlon was characterized as the Cameroonian Socrates. He was a major promoter of bilingualism, as reflected in the journal Abbia: Cameroon Cultural Review that he founded in the early 1960s.